Remember when Google decided to crowdsource some name ideas for the upcoming version of Android? As we’ve mentioned before, your suggestions are merely that – suggestions – and Google will ultimately decide what to officially name Android N.
And maybe it has already found one. 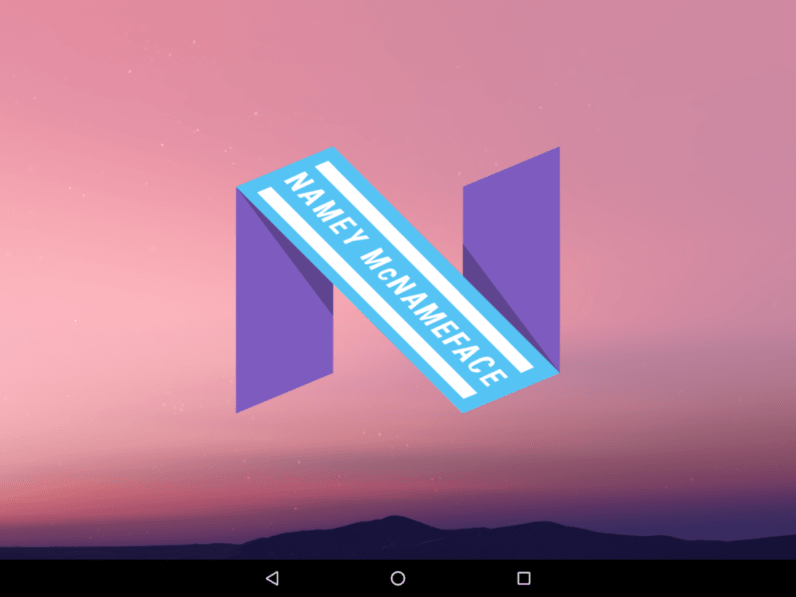 There’s a little easter egg on the latest developer preview version of Android N which follows the naming scheme of exactly what you’d expect when you let the internet help you name stuff. Introducing: Android Namey McNameface. Android Vice President Dave Burke actually made this joke at Google I/O so it’s not a surprise to see devs actually put this in the beta. But why bother, Android? Just keep the name and save everyone the suspense. Or just admit you’re gonna name it Nutella already. We all know it’s coming.